Dr. Marmur's involvement in a medicolegal case may be initiated by e-mail or cell phone 917-885-8854 . If the case is within his area of expertise, all medical records, including angiographic studies, will be requested. Evaluations can usually be completed within 2 weeks, but arrangements can be made for a more rapid review when needed, such as a case facing an impending Statute of Limitations. A retainer will be requested in an amount dependent on the complexity of the case It is understood that Dr. Marmur will render an opinion based strictly on the merits of the case; payment covers his time and in no way will influence his opinions. 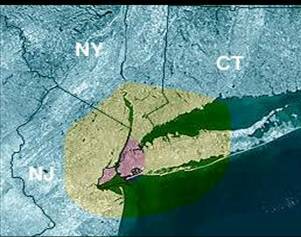 In cases where travel outside the New York City Tri-State Area (described below) is required, travel expenses and fees for services rendered will be payable in advance prior to departure. Travel expenses include airfare, transportation to and from airports, and lodging. To avoid travel expenses, Dr. Marmur is able to provide deposition and testimony via videoconferencing.